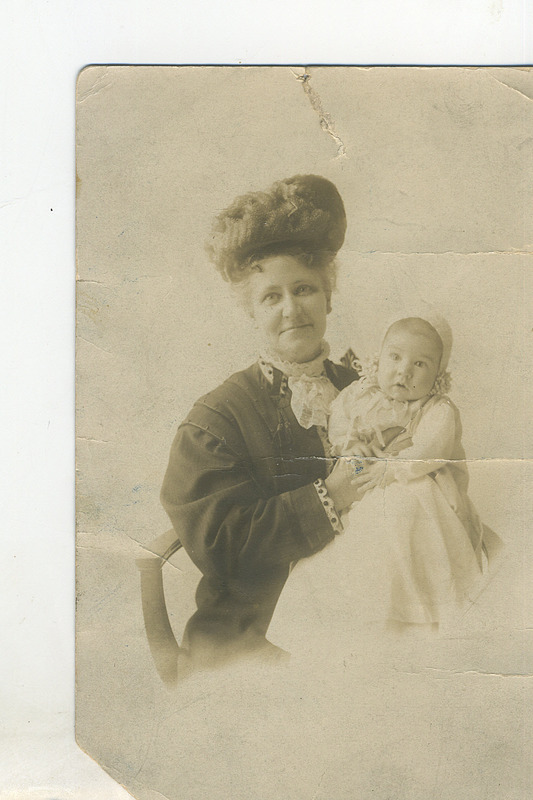 My grandmother Alice Milmine Beggs died shortly after my parents were married. None of us had the opportunity to know her. 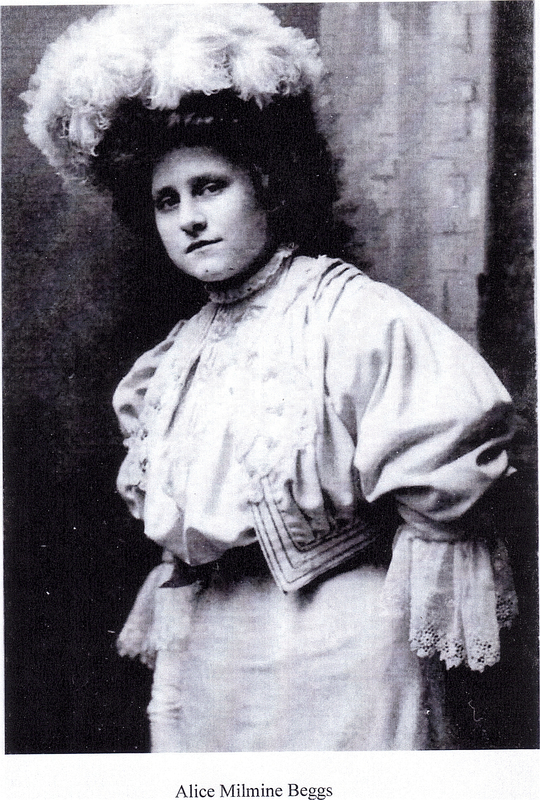 And, while my father was still alive none of us thought to ask about Alice…..fortunatley I have “found” Ruth’s family! 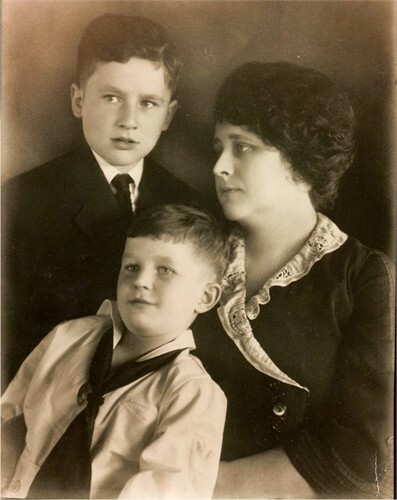 Ruth’s son Donald is alive and well and sharing stories and photographs! Later this month I look forward to having Donald’s daughter, my second cousin(?) come to Ithaca for a visit! Carrie was born in Michigan and Henry was born in Canada. The Beamer farm is still up and running in Ontario near the New York border! Henry immigrated between 1860 and 1870 and became involved in the iron business in Michigan along with his brothers. Carrie and Henry had two daughters, Ruth and Alice. Ruth was born is 1880 and Alice came along five years later. Ruth was born in Grand Rapids MI and Alice was born in Toledo Ohio. Over the years I have searched for relatives of Ruth Milmine Applegate, hoping, just hoping I would someday find someone. As a child I had vague memories of a cottage in Grand Haven MI, summer retreat of the Applegates. My memories were fleeting and not very detailed, except for one: my father walking to the door of the cottage and being greeted very warmly by another man…his cousin Donald. Not too may months ago, I searched again, and there it was: The Applegate Tree. At the cyber end of the tree was my second cousin Martha and the emails and pictures began flying! I am so grateful!! 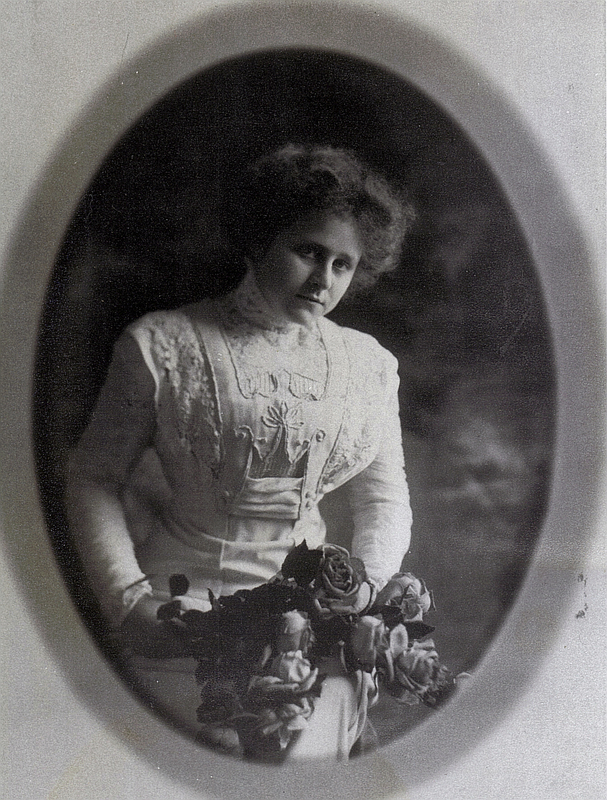 More pictures of my grandmother Alice Mimine Beggs, on her wedding day. 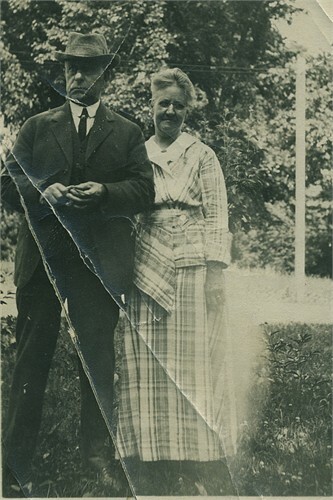 Alice married David W. Beggs of Columbus Ohio. 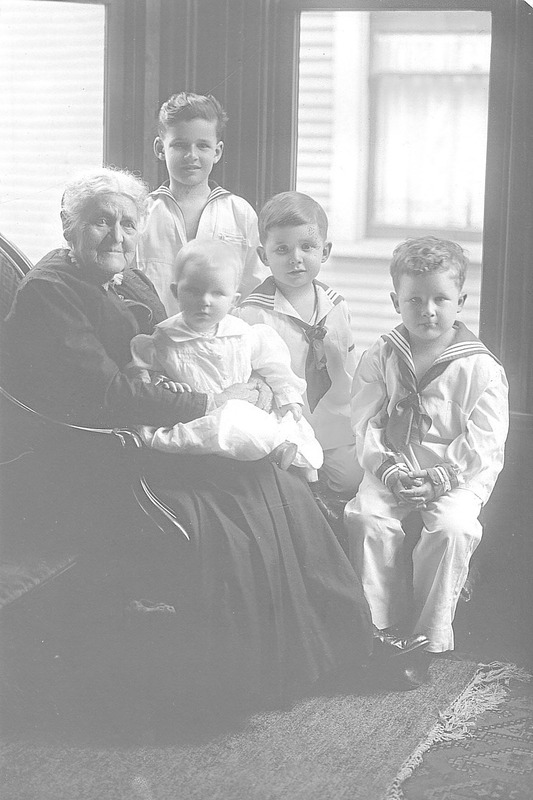 The picture below is my favorite: Alice, my dad (in his little sailor shirt!) and his brother David. I asked Donald Applegate (son of Ruth) if he had any memories of Ruth and Alice. He did! interlude he eloped with Jane Midgeley the only daughter of Thomas Midgeley. 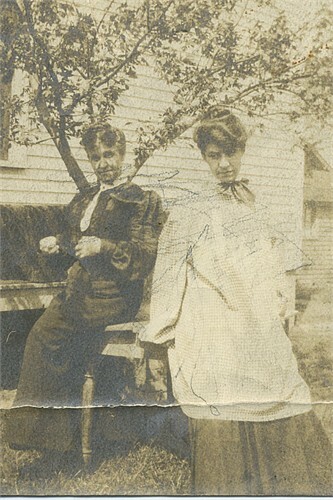 “Alice and Ruth on a trip to Quebec, Ontario. The year about 1904- prior to their marriages- both in their early 20’s- young and adventurous – in the words of a contemporary writer, Cornelia Otis Skinner, “Their heart’s were young and gay”. All of this, to be effective, must be rattled off in rapid-fire sequence. How lucky I am to have found Donald and Martha. How lucky we are as a family to have these pictures and stories!